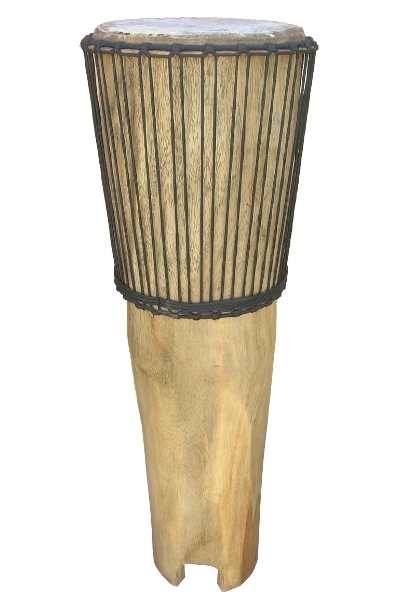 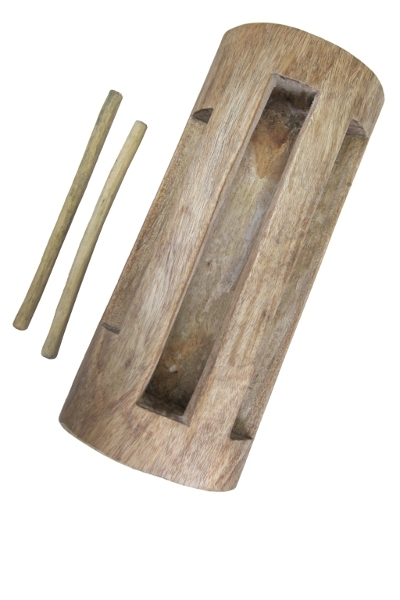 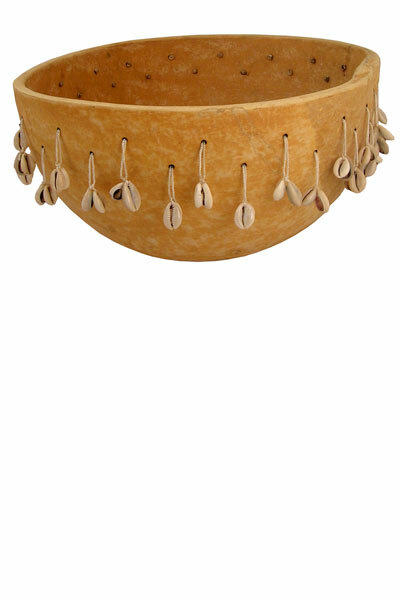 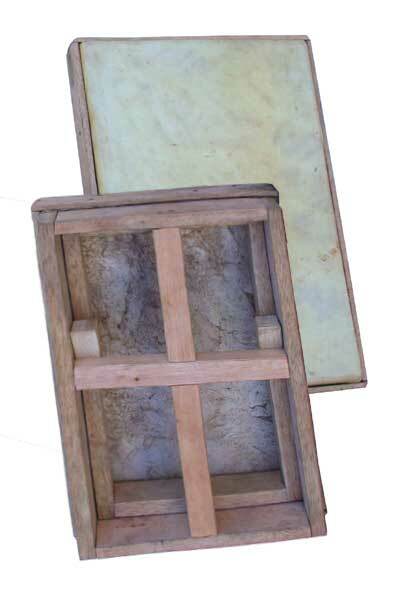 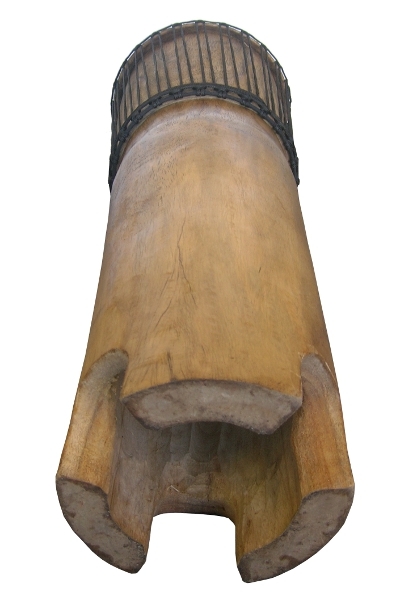 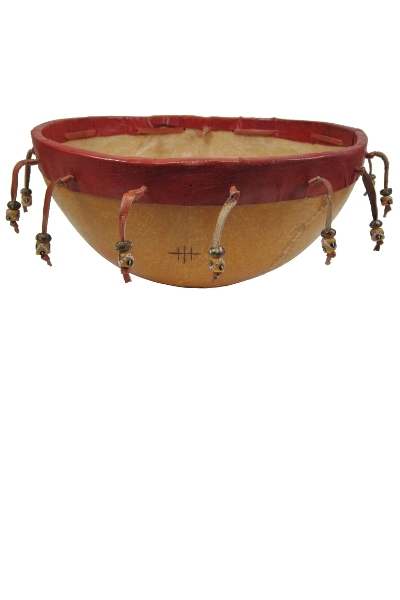 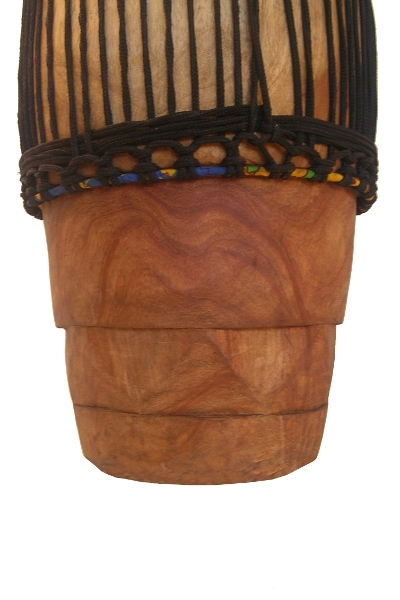 This is a professional grade gita (GHEE-tuh) from Mali, featuring a very thick, high quality calabash gourd and multiple sets of cowrie shells around the perimeter, large enough for use in stage performance or for professional music production. 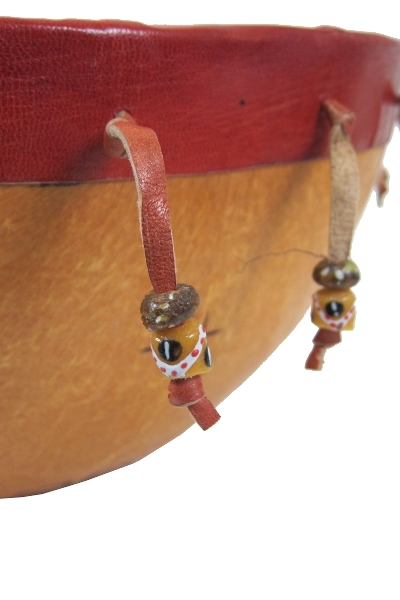 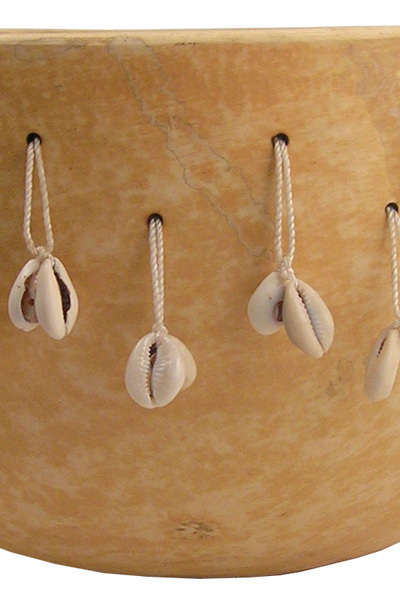 The gita is a made of half of a thick calabash gourd with cowrie shell pairs attached around the open rim. 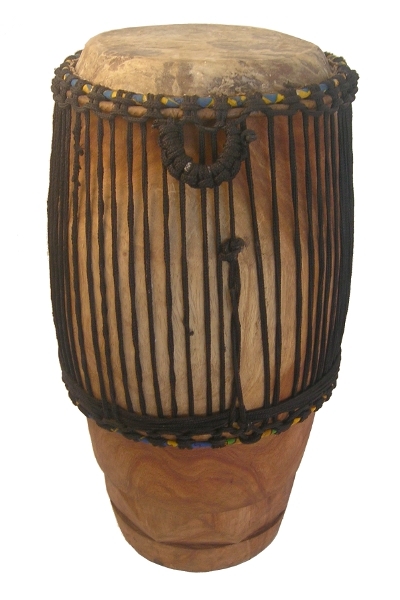 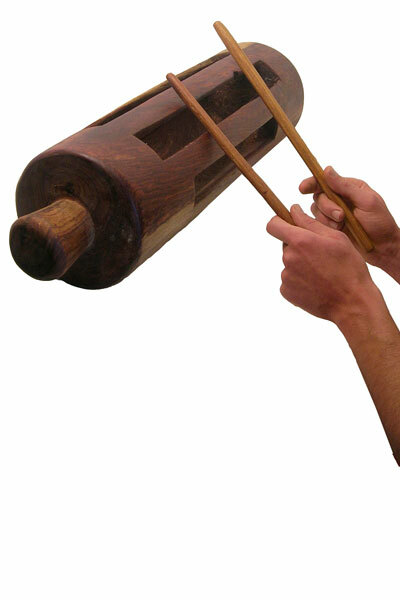 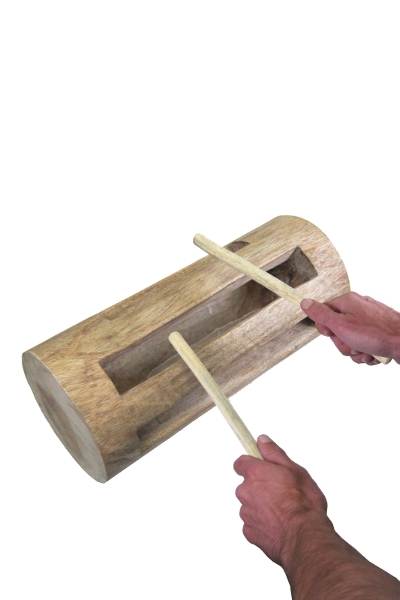 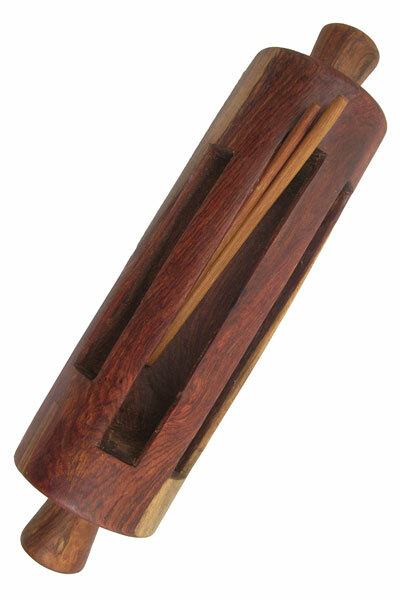 It can be played like a drum, producing similar stroke sounds as membranophone hand drums, or it can be girated in two hands causing the shells to hit against the gourd in rhythm. 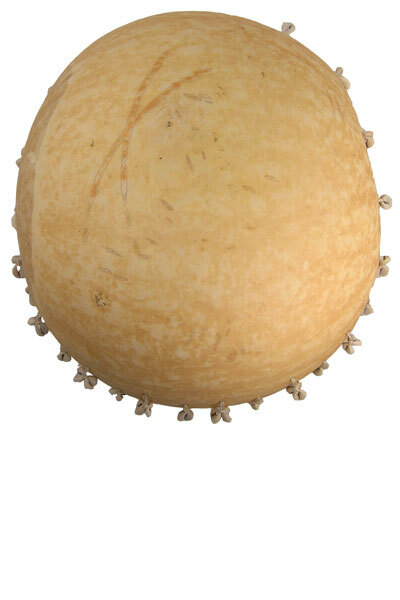 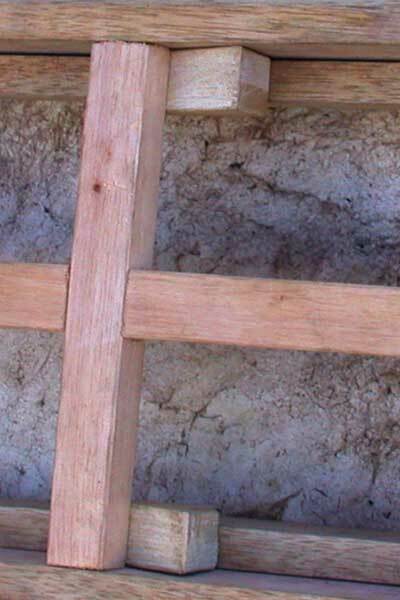 It is a thick half gourd with smoothed edges, a 15-16″ diameter, and is 8-9″ high.